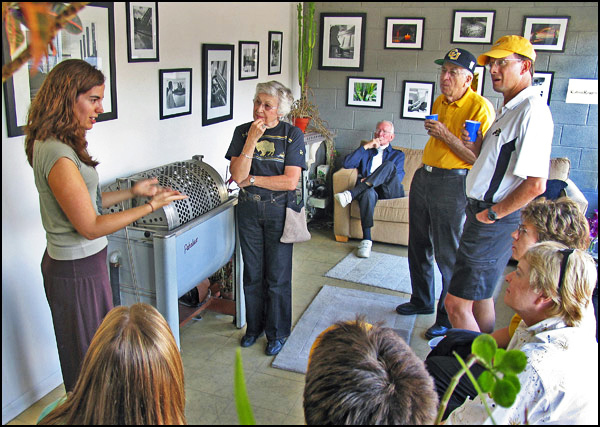 The Boulder Photo Center Galleries are the only Public Access Photography Galleries in the Boulder area. Our Annual Boulder Open Photo Show is always fun and the first one here will be an event not to miss. You'll enjoy it more if you are a participant. All it takes is one framed photograph, smaller than 11x14. Express Your Self. .................................................................... If you have a dozen or so photographs, framed, why don't you consider having a show of your work in one of the Boulder Photo Center Galleries? 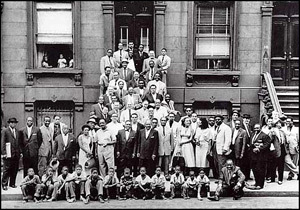 Two copies are still available of The Classic 1958 Harlem Jazz Portrait, a 24"x36" Poster suitable for framing. Dizzy is on the far right side. 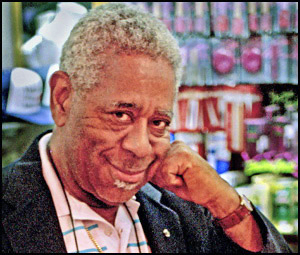 the great Dizzy Gillespie, in 1989. Opening Reception for her one person show at the old BPC studio.